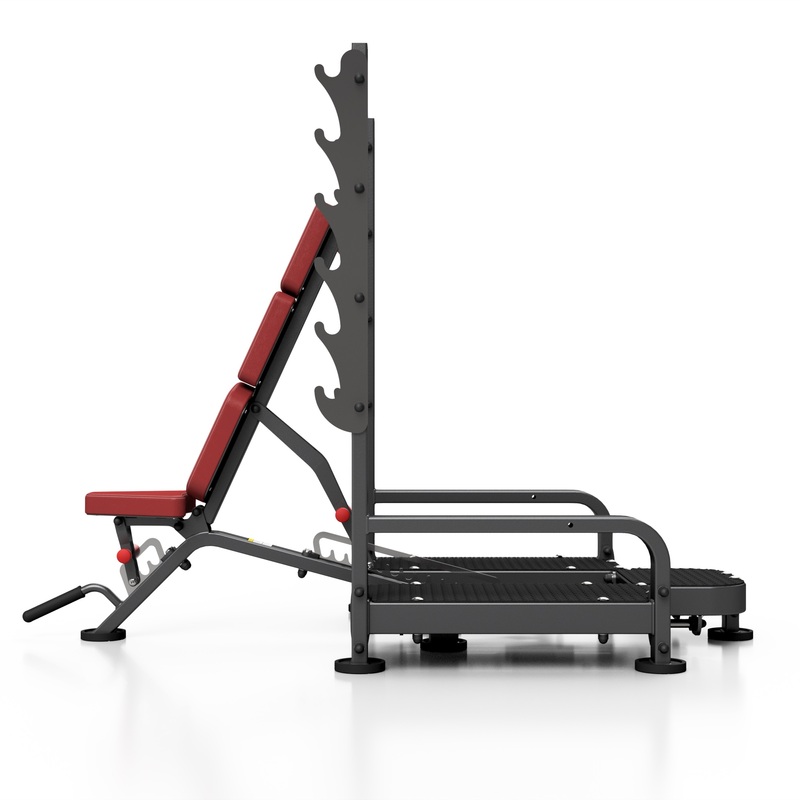 A compact, space saving multifunctional bench, suitable for both novice and skilled gym users. The best one can get! 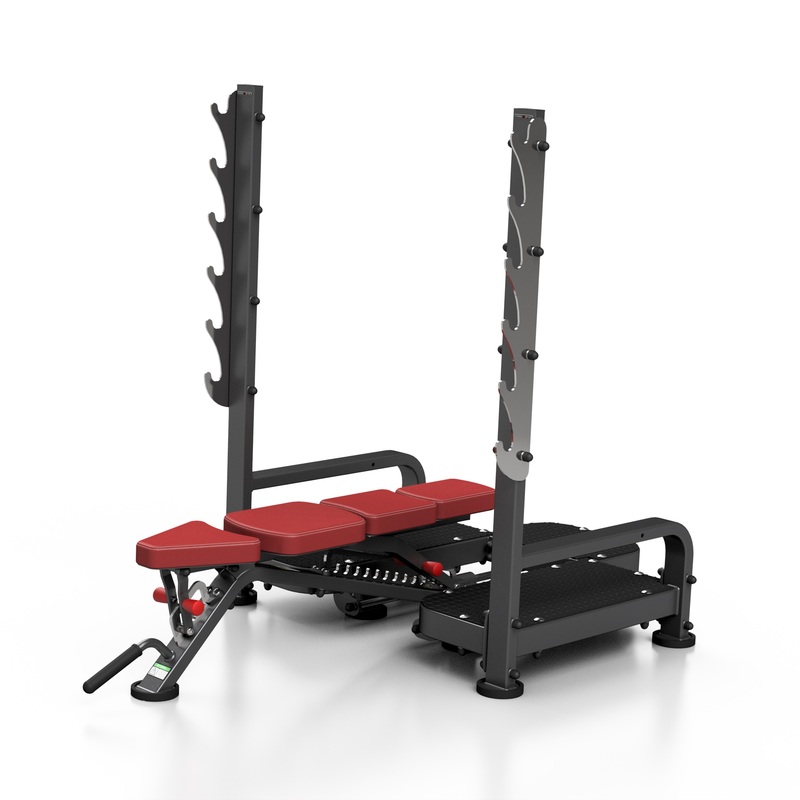 A compact, space saving multifunctional bench, suitable for both novice and skilled gym users. 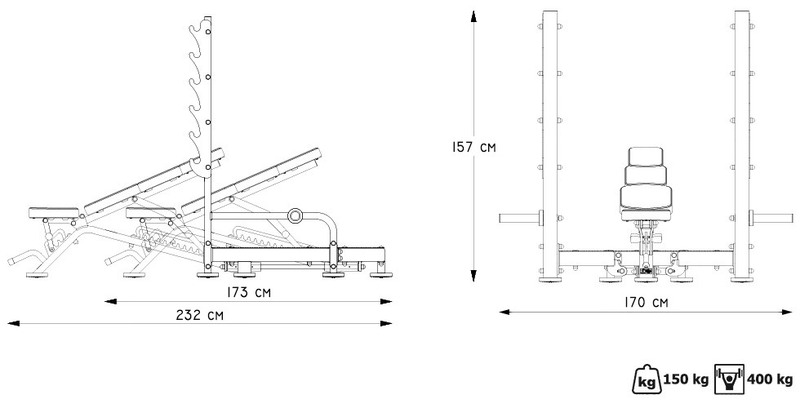 This Bench Press has been specially designed to endure heavy use in a commercial environment and can load 400 kg. The seat is adjustable in 4 positions. 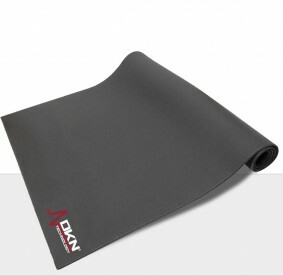 The backrest is adjustable in 13 positions, ranging from decline to full military. Optional Olympic Adaptors SP-A001 are available. 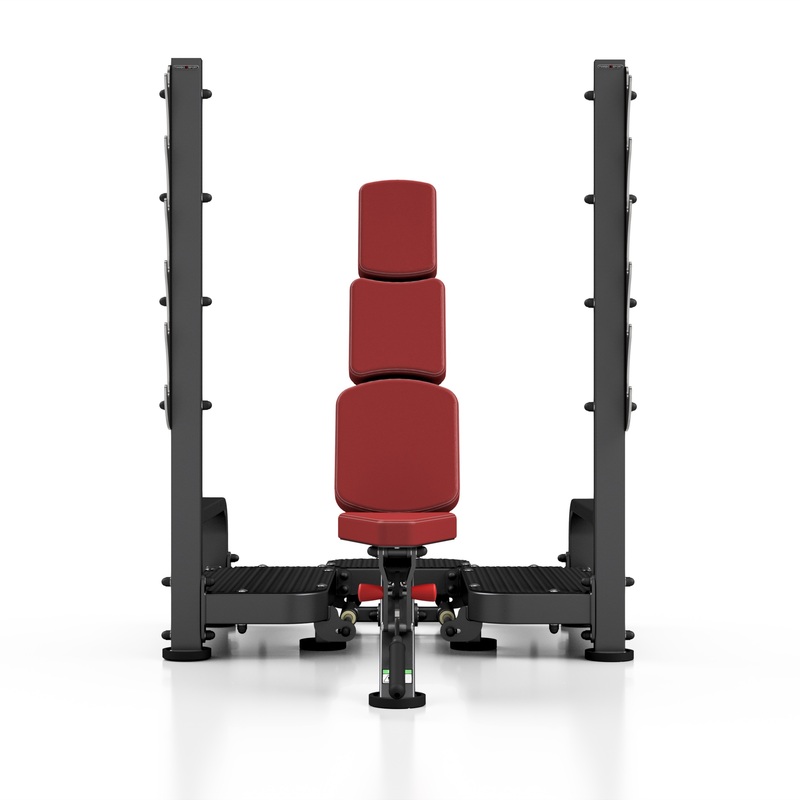 Move the seat and backrest with a single pull on the handle to enable the shoulder training positions. Then tilt the seat with the push button to adjust the correct height position. 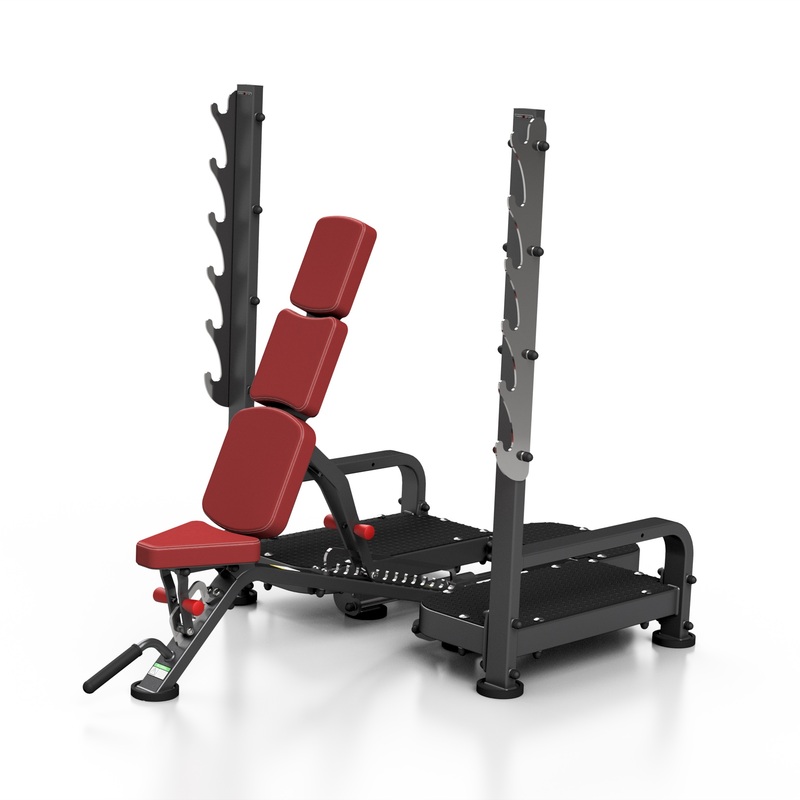 With the same lever you can poistion the back perfectly horizontally for the bench press. 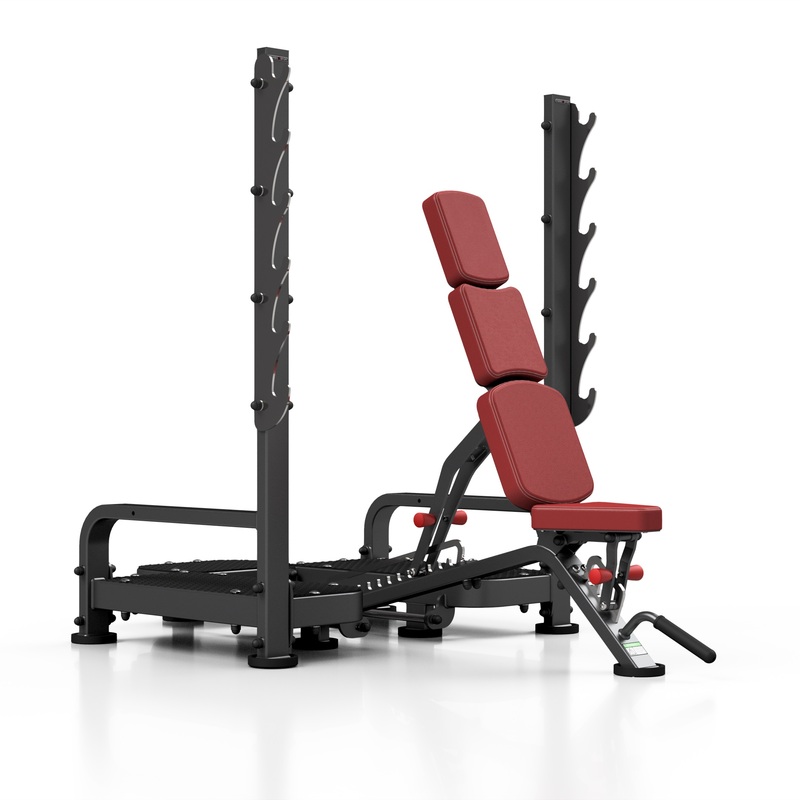 Thanks to its unique design, you can turn the bench away for stand-alone barbell exercises. Olympic Disc Plate Adaptors SP-MP-A001 are available as an option. 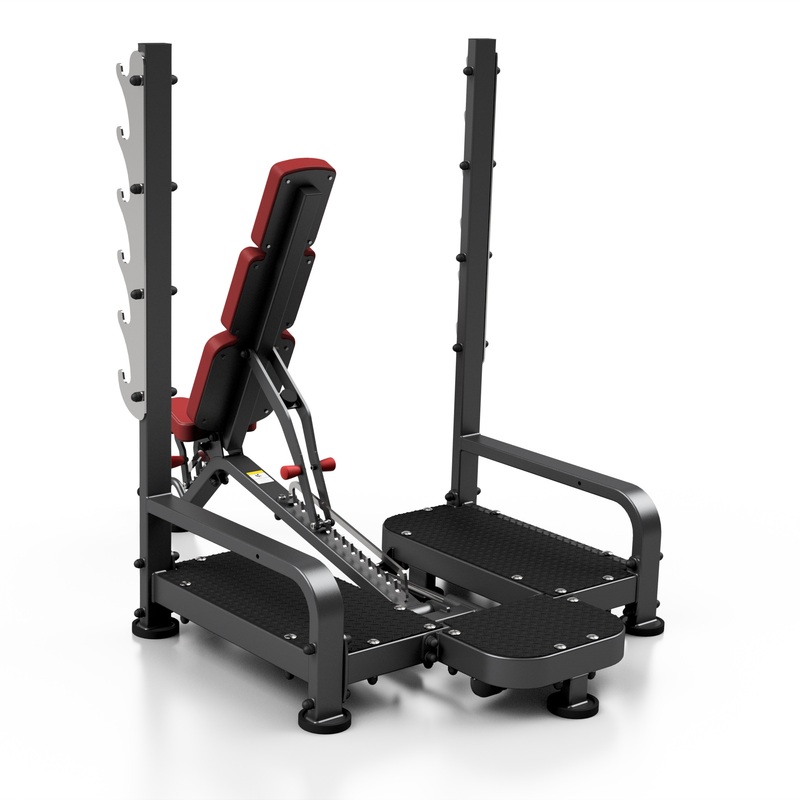 Suitable for both barbell and dumbbell work the Bench Press has integrated holders for the optional Olympic Disc Plate Adaptors as an ideal storage solution. The adapters are finished with a rust-proof coating and have a rubber stopper to protect the metal structure. 10 mm solid steel, stainless coating.